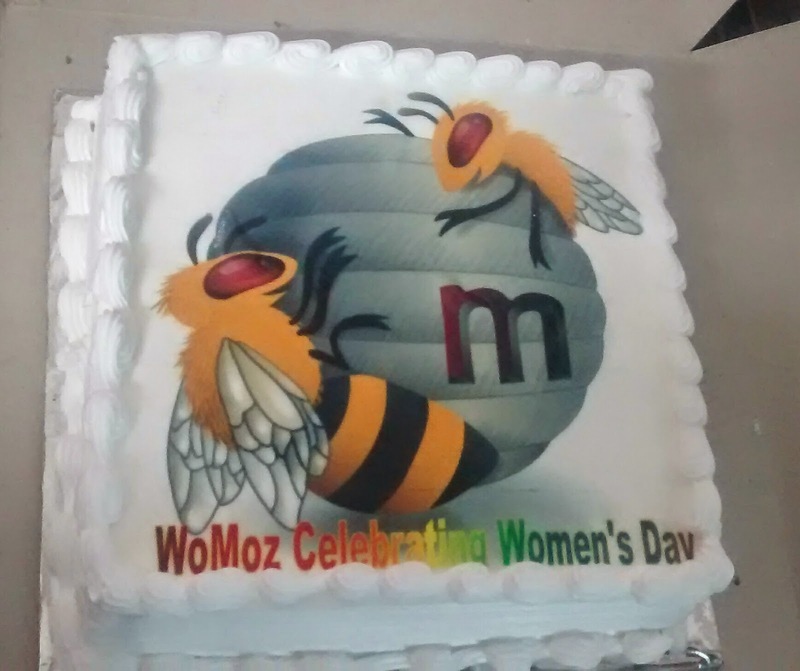 On the occasion of International Women's Day, the WoMoz (Women in Mozilla) community from Pune had decided to celebrate Womanhood and technology by paying tribute to to all the women, who are working towards making a difference in the world of Open Source technology. As per our planning, we, the organizers did gather at Symbiosis Institute of Computer Studies and Research by 9.30am. It took us less than 20 minutes to arrange the room and put up a few posters around the campus, which could give our participants, the feel of event. The event was scheduled to begin at 10am. While planning the event, we had made a few mistakes (which I have listed at the end of the post) due to which we had a really low crowd turnout. After an hour of waiting, when we were almost about to call the event off and re-schedule it, did we have our guest speaker, Manjusha Joshi walk in. It was she who motivated us to continue with the event, even if we had way less number of participants than expected. We began with the event an hour late. There are a few events, which often make us realize the fact that number is probably a wrong metric to measure the success of an event. Quality of audience is way more important. And this one was one such rare events. Though we had just 20 people in the room, those 20 people were probably there, cause they all genuinely wanted to take something back home from the session. We restructured the entire schedule. [The initial event schedule can be found at http://wiki.mozillaindia.org/Celebrating_womanhood_and_technology]. We decided to have only the most important sessions. Diwanshi thus began the day, introducing Mozilla. Following her introduction, we invited Manjusha mam to share her Open Source journey with us. Her story was indeed inspiring. A married woman, belonging to a traditional Indian family, could manage to achieve so much in life, fighting challenges with way less resources than what we are blessed with these days. I salute her for being an icon for all of us! After her session, I went to the podium, to take a session on Imposter Syndrome. I guess its irony in itself that the speaker of a topic like that, herself suffers from Imposter Symdrome. Thanks to Sumana for being an awesome speaker on this topic at AdaCamp, due to which, I was not only aware of the topic, but also able to share my knowledge, further with others. After my session, Suchita also took a quick session, introducing a few initiatives by her college clubs, before Diwanshi ended the day with a session on Privacy and security. Organizing an event on a Sunday is a bad idea. Its tough to get people out of their Sunday mood and get them to do anything constructive. A lot of research needs to be done before finalizing the dates of any event. Mainly an event targeted at college student needs to be planned carefully, keeping their exam schedules etc in mind. If we are celebrating some national or international days, where ofcourse the dates can't be changed, its probably better to plan it differently. Event promotion is a big responsibility and ownership needs to be taken for this. Every event, no matter how small, should follow a RASCI model. This helps every stakeholder be very clear about their responsibilities, so as to have a smooth execution of the event. Yes, we also had cake!